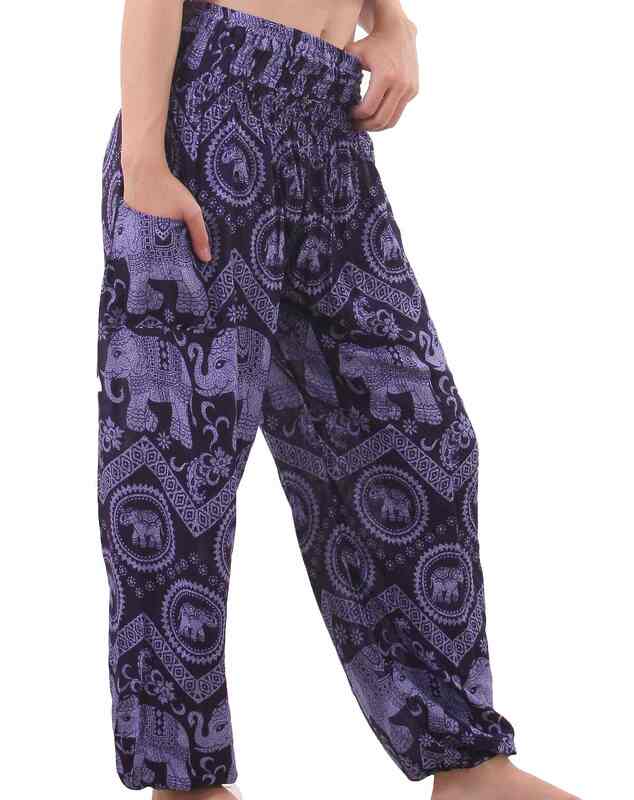 Elephant pants in rich blue color – light and super comfortable. 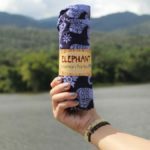 These are quickly becoming the favorite choice for travelers and yogis in Asia. 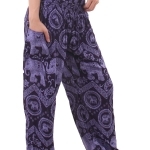 We now bring this trend to the rest of the world with the BohemianPants™ edition. The unique beautiful colors will make your traveling buddies jealous! Hand-stitched with comfort and lightness in mind make them ideal to wear for traveling, trekking and for yoga practice. 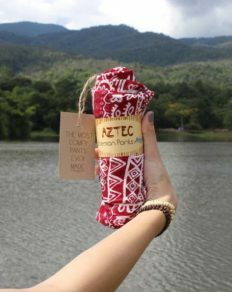 With their bohemian style they are also great for a day at beach or for nights out. 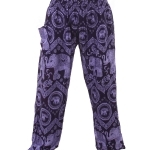 The Bohemianpants™ elastic waistband makes these pants perfect for yourself or as a gift since they are one size fits most. 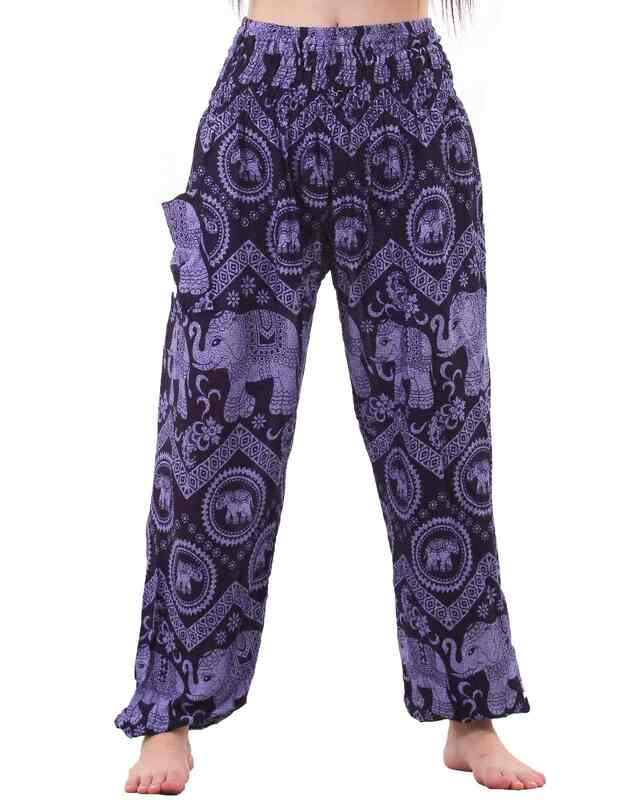 The Elephant pants can also be worn as 3/4 shorts by pulling up the elastic ankles. Perfect for yoga sessions on hot days. Get free worldwide shipping on all orders over 50$. 100% hassle free returns = satisfaction guaranteed. One size fits most = no size issues. 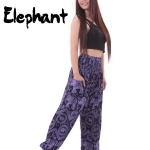 The safest place to buy the best quality bohemian harem pants. We want you to be able to enjoy your Bohemian Pants gear as long as possible, so between a yoga session and a relaxed day at home, here are some tips to get the longest life out of your Pants. General care: Best bet is to hand wash with cold or lukewarm water and let them dry in the shadow. If you are in a rush, machine wash on gentle and use the dryer on low heat. Note: If using a washing machine, turn your pants inside out and avoid mixing them with denim, zippers or velcros.